Interpret and use the main analytical findings in applied research. A detailed training program with session slides is available here. In total, fifteen researchers, analysts and postgraduate students attended the course from universities, NGOs such as Z-Analytics Group and research organizations such as the Center for Strategic Studies under the President’s Office and the Institute of Agricultural Economics. Participants were selected on a competitive basis by the selection committee. 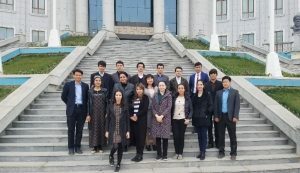 During this first joint capacity building effort conducted by IFPRI with its national counterparts in Tajikistan, IFPRI donated 19 laptops to the TAAS as a contribution towards creating a computer lab for its researchers. Organizers also provided participants with course materials and books for their personal use. 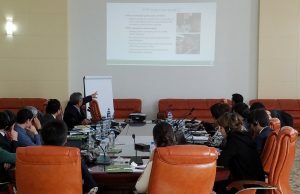 The training course is part of a joint effort to enhance economic analysis capacities among researchers in Central Asia and is supported by the Ministry of Finance of Russian Federation and the CGIAR Research Programs on Policies, Institutions, and Markets (PIM) and Agriculture for Nutrition and Health (A4NH).